Michelangelo Antonioni - 1960 | A woman disappears during a boating trip. In correspondence with Feest aan Zee, we open our new season of films with movies on, in or around the sea. 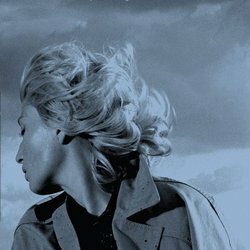 L’Avventura - the adventure in English and a one night stand in Italian slang, shows its protagonists in an inconclusive search for sensual pleasure. The film opens with the mysterious disappearance of Anna (Lea Massari) during a sailing trip in the Aeolian Sea, whose fiancée Sandro (Gabriele Ferzetti) and her best friend Claudia (Monica Vitti) later fall in love while in search of Anna. As the first film in director Michelangelo Antonioni’s Trilogy of Decadence, the film beautifully captures the sense of alienation and disorientation in bourgeois lives. L’avventura tells us of the modern condition where not only “God is dead” but also “Eros is sick”. *In Italian with English subtitles.